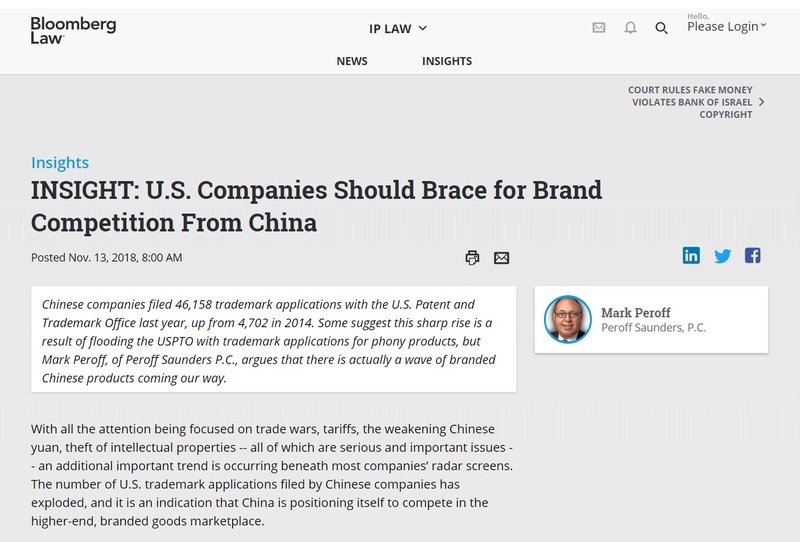 Mark Peroff, Partner of AC Client Peroff Saunders, writes for Bloomberg Law about how there could be a wave of branded Chinese products hitting the U.S. market. Chinese companies filed 46,158 trademark applications with the U.S. Patent and Trademark Office last year, up from 4,702 in 2014. For more insights, check out the article. 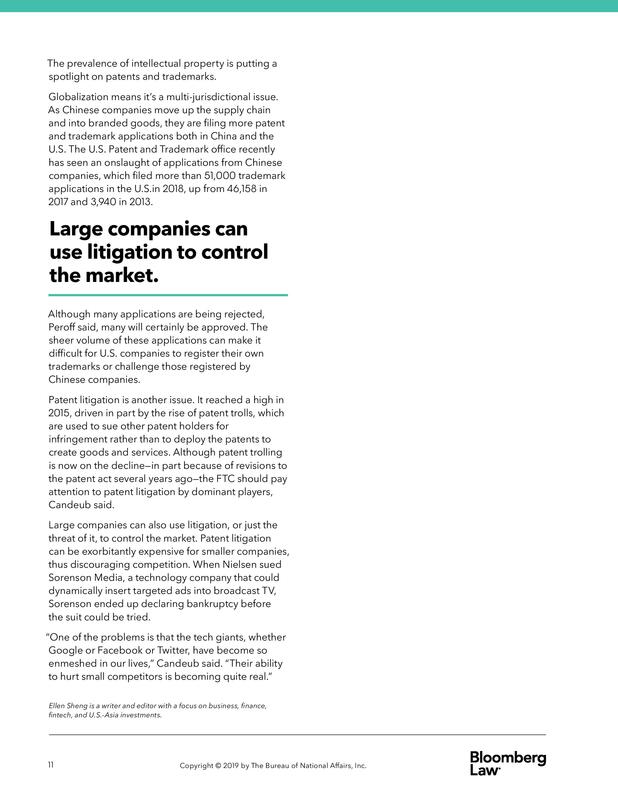 He is also quoted in Bloomberg BNA article Chinese Trademark Surge Signals Possible U.S. Market Entry. 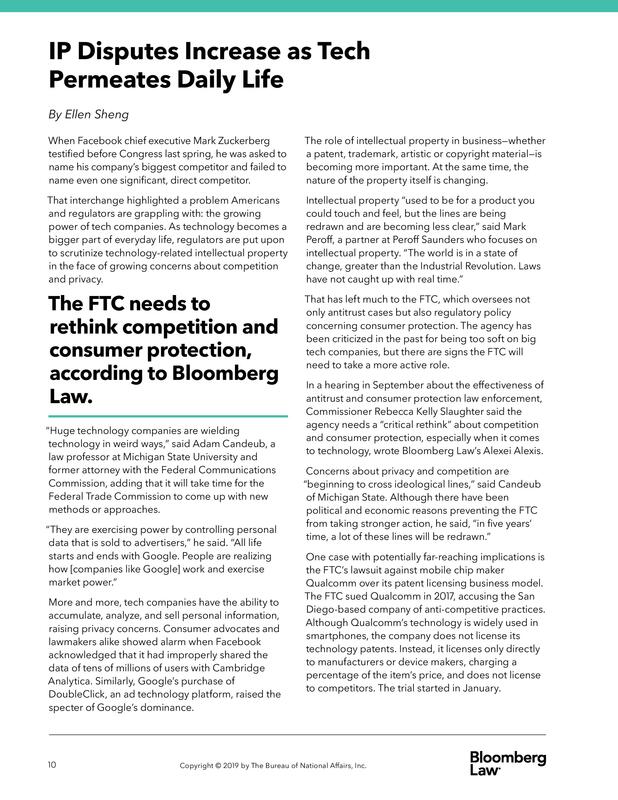 Peroff Saunders, P.C., a new intellectual property law firm with offices in New York, New Jersey and Chicago, has been featured in various law publications announcing its formation. The group is led by Mark Peroff and Darren Saunders, well-known intellectual property attorneys with a large global practice.